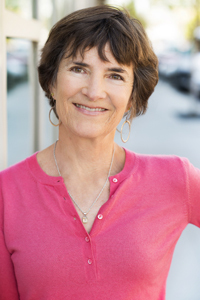 Kathe is a writer, musician, and teacher, living in Berkeley, California. She studied for her M.A. with former U.S. Poet Laureate, Robert Hass, at UC Berkeley, taking a break from writing to raise a family and teach English, choral music, traditional folk song, and guitar for many years. She devised and taught a curriculum for middle school that combined creative writing, singing, music theory, and history in sharing with youth the story of African American music and its impact on American life. Kathe confesses to being vocationally promiscuous — on the writing side, poetry, narrative nonfiction and many, many published Letters to the Editor! In her performing life, she plays at coffee houses with her husband, performs in local theatre, and studies improv. As one might imagine, Kathe brings a dramatic flair when she gives a reading and has been known to burst into song when a poem requires it. Additionally, she is an avid birder, backpacker and photographer.